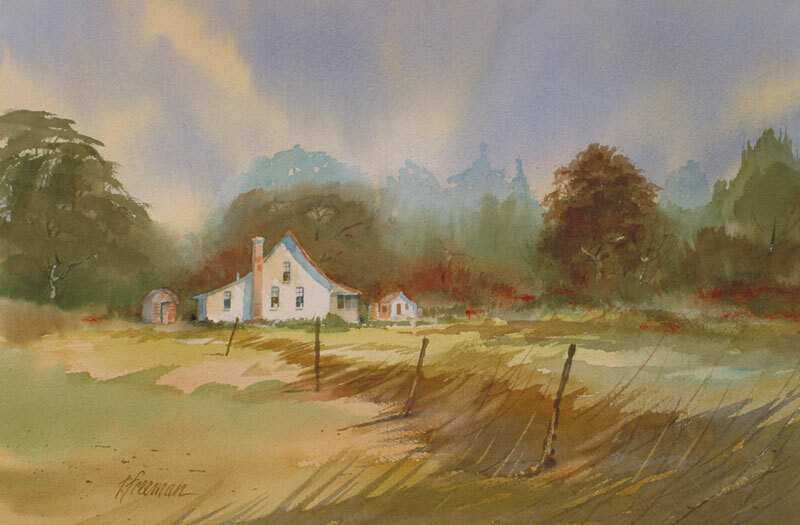 Thomas Freeman Original Watercolor Painting: "Country Cottage"
This is a little farm scene from the Midwest, one of those Michigan country houses that go back 75 years or more. I started out with a loose, wet wash for the sky and then outlined the house with the trees. Then at the edge of property I added a characteristic fence.